Lucas Corso, middle-aged, tired, and cynical, is a book detective, a mercenary hired to hunt down rare editions for wealthy and unscrupulous clients. When a well-known bibliophile is found hanged, leaving behind part of the original manuscript of Alexandre Dumas’s “The Three Musketeers, ” Corso is brought in to authenticate the fragment.The task seems straightforward, but the unsuspecting Corso is soon drawn into a swirling plot involving devil worship, occult practices, and swashbuckling derring-do among a cast of characters bearing a suspicious resemblance to those of Dumas’s masterpiece. Aided by a mysterious beauty named for a Conan Doyle heroine, Corso travels from Madrid to Toledo to Paris in pursuit of a sinister and seemingly omniscient killer. I was really excited to read this book based on the description alone. A rare book collector trying to authenticate a previously unknown chapter of The Three Musketeers–sign me up! 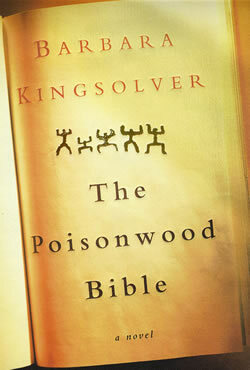 Initially the novel really seemed to live up to all the hype. It was mysterious, fast-paced, and I loved learning more about Dumas and book binding. Then, the novel picked up a second plot line (i.e. the search for The Nine Doors) and things started to get sort of muddled for me. It probably didn’t help that I was listening to an audiobook instead of reading a print version, but it just seemed like these two story-lines did not mesh well together at all. 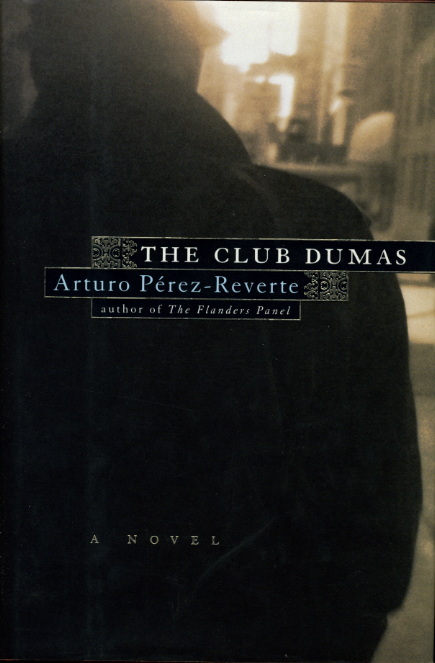 I think this book would have been so much stronger if Perez-Reverte had either stuck with one plot line or had done a better job of fleshing both out. I definitely don’t regret reading this book, but I wouldn’t want to read it again. 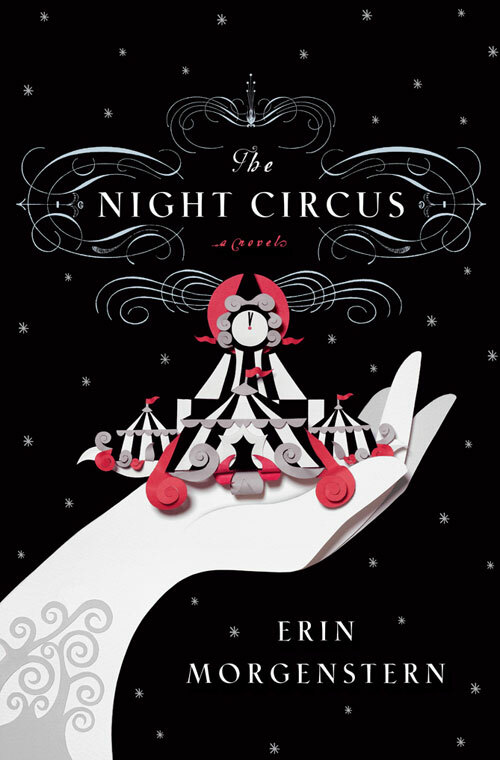 2.5/5 stars (rounded up to 3 on Goodreads). It is the year 2076, and the Moon is a penal colony for the rebellious and the unwanted of Earth. The exiles have created a libertarian society in order to survive in their harsh and unforgiving environment, their motto being TANSTAAFL: “There ain’t no such thing as a free lunch”. Looming over them is the Luna Authority, the heavy-handed Earth administration, who trades life necessities to the “Loonies” in exchange for grain shipments to the starving populations of Earth. A small band of dissidents emerges to lead the revolution. This consists of a one-armed computer jock, a radical young woman, a past-his-prime academic, and a nearly omnipotent computer named Mike. These people ignite the fires of revolution, despite the near certainty of failure. Of the 55 books I’ve read so far this year, only 2 of them can be considered “science fiction.” Clearly sci-fi is not a genre I read very often. So last year when a labmate suggested I read this book, I filed it away in my head for a “maybe someday when I’m really bored” book. Well that day came earlier this year when I really wanted to check out an audiobook from the library and everything else I was interested in was already checked out (I hate it when that happens!). I remembered this book and saw that it was available so I checked it out, and I’m really glad I did. The story opens with Manuel (i.e. Mannie), who is a resident of the lunar colonies (i.e. “Loonies”). He is a computer technician for the master computers of the Lunar Authority, which is the lunar government established and run by the people of the Earth. One day Mannie discovers that one of the computers has “awakened” (i.e developed a self-awareness), and he develops a sort of friendship with the computer whom he calls “Mike.” In the midst of this burgeoning friendship a revolution is brewing amongst the lunar colonists, and Mannie and Mike quickly get swept up in the fight for independence. Initially, the story was sort of hard to get into and I didn’t feel like I really understood what was going on. I eventually realized this was because the people of the lunar colony have different vocabulary and a strange way of phrasing sentences, but once I got used it I began to really enjoy the story. The Loonies and the place they live in are very different from my own, but Heinlein does such a fantastic job of world-building that I could imagine what it was like to live there. I was also impressed that the technology described didn’t seem too dated even though this book was published almost 50 years ago! Despite the futuristic setting, this a book about politics at its core. While I may not have agreed with all of Heinlein’s theories, I found myself really thinking about the nature of revolutions and what it takes to build a nation from scratch. Mannie and his friends enter into the revolution with high ideals, but they quickly discover these theories don’t always hold up well in the real world. 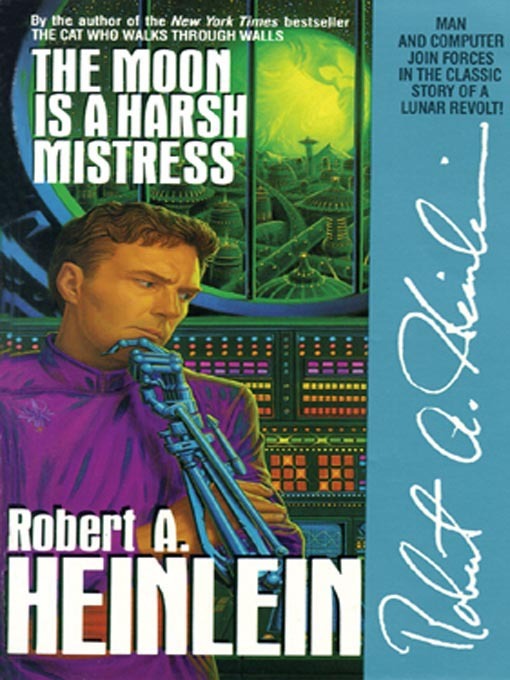 Heinlein’s descriptions of the intrigues and infighting of the new lunar politicians is eerily similar to that of the present day U. S. Congress. Overall, I thought this was a really good read. It’s chock-full of political theory, but also has enough action to keep the story moving. I also thought the reader of the audiobook, Lloyd James, did an awesome job with the various accents and dialects of the characters. 4/5 stars. Happy Monday everyone! It’s been a long, long time since I participated in this meme…March to be exact. Yikes! Regardless, I’m back this week to share what I’ve been reading lately along with a mini-book review. A quick glance at this title could be enough to make a frustrated graduate student want to throw this slim volume in Peter Feibelman’s face. What do you MEAN a Ph.D. isn’t enough?!?!?! But I suggest you resist that impulse, and read on. Once you get past the eye-catching title, you will quickly realize that Dr. Feibelman, a Senior Scientist at Sandia National Laboratory, has written a clear, concise guide to help you navigate the tricky and sometimes treacherous path from graduate school to the future beyond. He usually conveys his points with both good humor and real-life examples from his years of experience. I found the “Giving Talks,” “Publishing without Perishing,” “Choosing a Career Path,” and “Job Interviews” chapters especially helpful. Some of the points I sort of already knew intuitively, but it was good to see these reinforced by an expert! A couple of caveats: 1) This isn’t an exhaustive “how-to” manual. He doesn’t give step-by-step instructions on how to secure your dream job or write a winning grant proposal. The purpose of this book is to make you aware of many crucial steps in the scientific job hunting process, not necessarily to describe exactly how to get there. 2) Most of the advice in this book is geared toward those pursuing careers in academia and/or a National Laboratory in a STEM-related field. This didn’t really bother me, even though I am pursuing an industrial R&D career, but it is something worth pointing out. 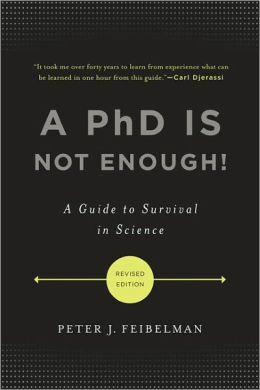 Overall, this is a very quick and worthwhile read if you are currently in graduate school, or are considering pursuing a scientific career. 4/5 stars. Rebecca Mead was a young woman in an English coastal town when she first read George Eliot s “Middlemarch,” regarded by many as the greatest English novel. 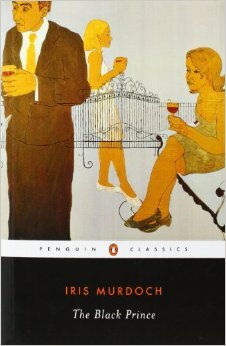 After gaining admission to Oxford and moving to the United States to become a journalist, through several love affairs, then marriage, and family, Mead read and reread “Middlemarch.” The novel, which Virginia Woolf famously described as one of the few English novels written for grown-up people, offered Mead something that modern life and literature did not. 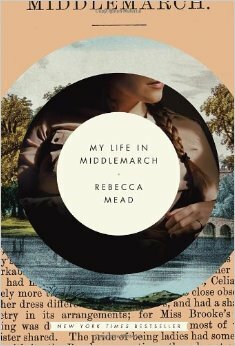 In this wise and revealing work of biography, reportage, and memoir, Rebecca Mead leads us into the life that the book made for her, as well as the many lives the novel has led since it was written. 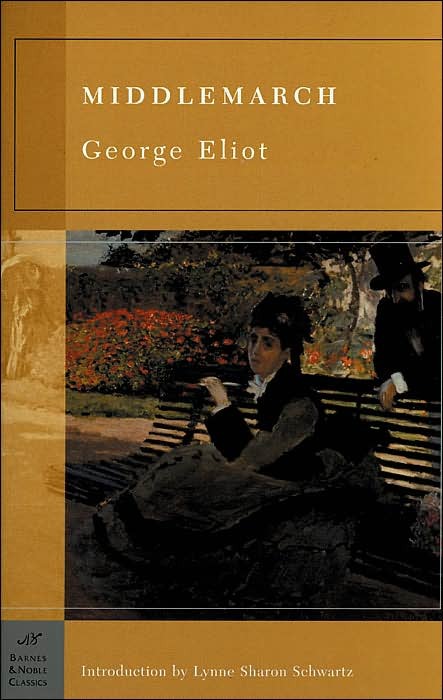 Employing a structure that deftly mirrors that of the novel, “My Life in Middlemarch” takes the themes of Eliot s masterpiece the complexity of love, the meaning of marriage, the foundations of morality, and the drama of aspiration and failure and brings them into our world. Offering both a fascinating reading of Eliot’s biography and an exploration of the way aspects of Mead’s life uncannily echo that of the author herself, “My Life in Middlemarch” is for every ardent lover of literature who cares about why we read books, and how they read us. Park… He knows she’ll love a song before he plays it for her. He laughs at her jokes before she ever gets to the punch line. There’s a place on his chest, just below his throat, that makes her want to keep promises… Park. chance encounters can be fated, and the word ‘yes’ can be a poison. That’s how quickly New York City comes about, like a weathervane, or the head of a cobra. Time tells which. 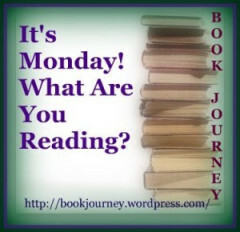 Linking up with Book Journey! Happy Monday everyone! This week, I’m participating in the “It’s Monday! What Are You Reading?” meme. It’s been a long time since I’ve done this two weeks in a row…we’ll see if I can keep it up! Daniel Defoe (1660-1731) trained for the ministry, became a political journalist, and finally, to many, became “the father of the English novel.” He is also the author of ‘Moll Flanders’. Does anyone else remember the Accelerated Reader (i.e. AR) program? My middle school used this program to encourage us to read, and we had designated number of “AR points” we had to get every quarter. The number of points a book was worth depended on the difficulty of the book, and being a bookworm I always exceeded the number of points I needed, usually by a very large margin. During one quarter in 7th grade I tried to read Robinson Crusoe because it was worth a lot of points (27 to be exact…I just looked). I knew it was a classic book and I put in an honest effort, but I just couldn’t get past the first chapter. It’s bugged me for years that I was never able to finish it, so I finally decided to give it another chance. From the first sentence I could see why I had a hard time reading it all those years ago–the prose is wordy and written in a form not easily decipherable for (younger) modern readers. Of course being a more mature reader now, I was able to get past this and even enjoy it a little bit since I knew I was reading one of the first novels written in the English language. The book is also slowwwwwww, which might have hindered my enjoyment of it 15 years ago. Sometimes I enjoyed the leisurely pace, such as when Crusoe was describing how he set up his dwelling and tamed a flock of goats. Other times I thought the book was redundant and didactic to a fault, like during the diary sequence. 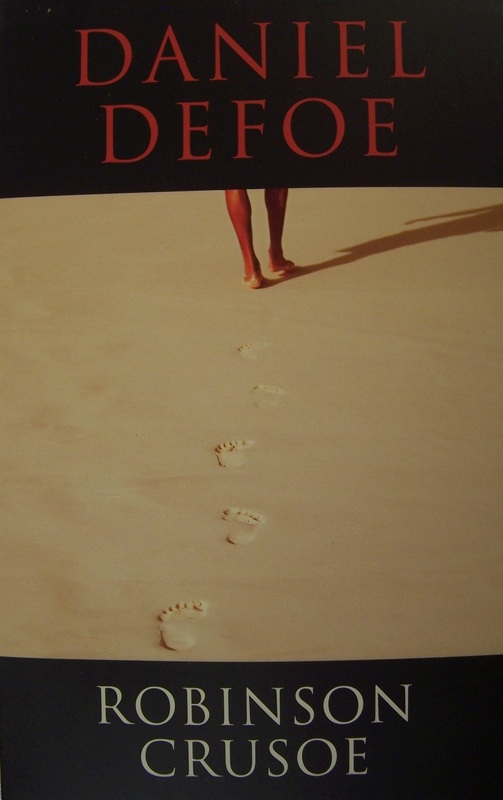 Honestly, the first half of the book was pretty boring at times, but thankfully the pace really picked up once he found the footprint in the sand. If not for the last third of the book, this review might be much different. My feeling about Robinson Crusoe the man is ambivalent at best. To my modern eyes, he seems sort of like an imperialistic jerk who kind of deserves all that happens to him. His actions in the first half of the book frequently defy reason–seriously how many shipwrecks/other disasters do you need to convince you to just stay home?!?! Also, his quick disposal of the boy who helped him escape slavery was pretty upsetting and infuriating to me. On the other hand, he is a very self-aware jerk who readily admits that he has made a lot of mistakes along the way. I also found it really interesting that looking back on it all, he realizes the best times of his life (mentally, morally, and spiritually) were spent alone on the island. Overall, I’m glad I finally read this book. Not only is it a classic adventure novel, but it also has some good points on how youthful haste can lead to later regrets. Admittedly, I found it to be very slow at times and I’m not sure I can say I actually liked it, but I do think it is worth reading at least once. 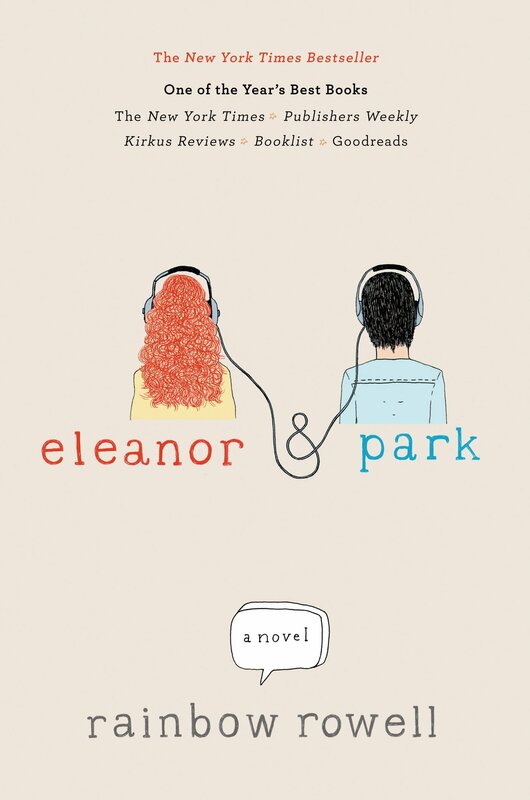 2.5/5 stars (rounded up to 3 stars on Goodreads). 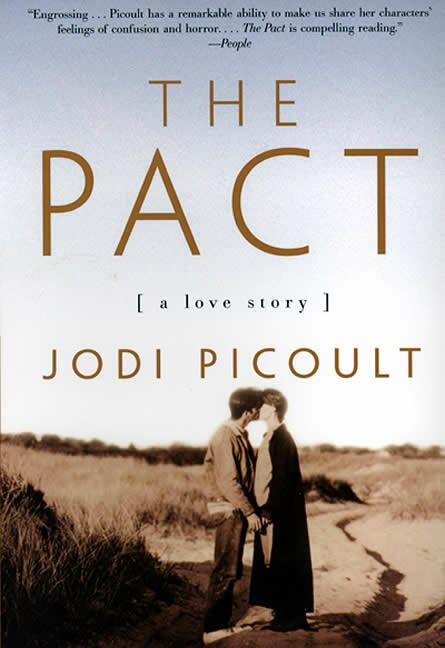 Subtitled “A Study of Provincial Life,” the novel is set in the fictitious Midlands town of Middlemarch during the period 1830–32. 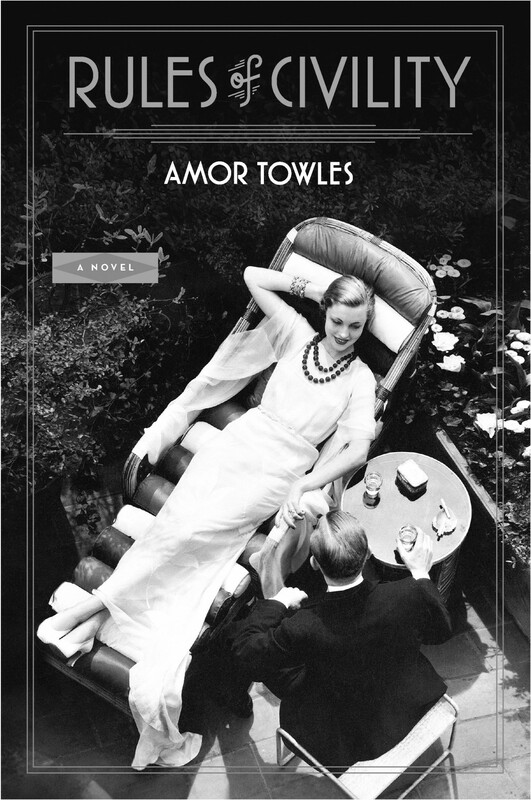 It has multiple plots with a large cast of characters, and in addition to its distinct though interlocking narratives it pursues a number of underlying themes, including the status of women, the nature of marriage, idealism and self-interest, religion and hypocrisy, political reform, and education. The pace is leisurely, the tone is mildly didactic (with an authorial voice that occasionally bursts through the narrative),and the canvas is very broad. Despite the fact that it has some comical characters (Mr. Brooke, the “tiny aunt” Miss Noble) and comically named characters (Mrs. Dollop), Middlemarch is a work of realism. Through the voices and opinions of different characters we become aware of various broad issues of the day: the Great Reform Bill, the beginnings of the railways, the death of King George IV and the succession of his brother, the Duke of Clarence (who became King William IV). We learn something of the state of contemporary medical science. We also encounter the deeply reactionary mindset within a settled community facing the prospect of what to many is unwelcome change. We think of the FBI as America’s police force. But secret intelligence is the Bureau’s first and foremost mission. Enemies is the story of how presidents have used the FBI as the most formidable intelligence force in American history. Here is the hidden history of America’s hundred-year war on terror. The FBI has fought against terrorists, spies, anyone it deemed subversive—and sometimes American presidents. The FBI’s secret intelligence and surveillance techniques have created a tug-of-war between protecting national security and infringing upon civil liberties. It is a tension that strains the very fabric of a free republic. As a child of the 90’s, I’m well aware that there are large gaps in my 20th century history knowledge. I’m not sure if my high school American history experience is typical of others from my generation, but I remember spending entire quarters on the Revolutionary War and The Civil War, but barely two or three weeks on 20th century history (and by the time I was actually in high school the 21st century had begun). So I knew there were very large gaps in my knowledge, but I was surprised to find out how much I REALLY didn’t know when I read this book. While I can’t say this work was particularly uplifting, it was one of the most interesting, disturbing, and informative non-fiction books I’ve read in a long time. This book charts the 100 year history of the Federal Bureau of Investigation (FBI), but focuses mostly on its secret intelligence operations. From the Palmer Raids of 1919-1920 to the denial of a warrant to search Zacarias Moussaoui’s computer in August of 2001, Weiner details how the bureau fails time and time again to nab actual spies or stop crimes before they happen. It’s not that this should be an easy task to accomplish by any stretch of the imagination, it would just be reasonable to assume that we might get better at it over time…which it doesn’t seem that we really have. I found this especially disheartening in light of the time, money, and questionable suspension of civil liberties the FBI has used over the years to achieve these uncertain ends. 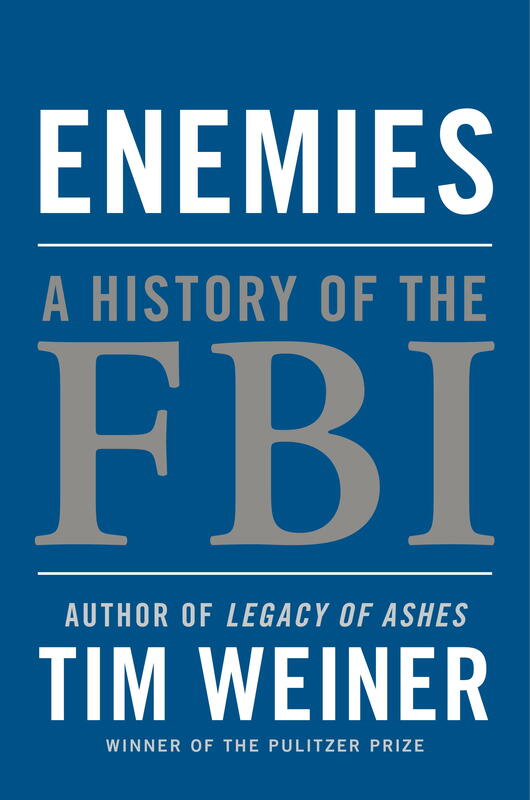 Despite this somewhat grim portrait of the FBI, Weiner’s book is clearly thoroughly researched and full of interesting facts and historical tidbits. For instance, did you know that to this day the FBI still lacks formal charter? Or that a German-led terrorist group set fire to the Black Tom munitions depot in 1916 which led to an explosion that damaged the Statue of Liberty? I also found it interesting to learn about more recent events that I knew of only by name, such as the Iran-Contra affair and the first World Trade Center bombing. Overall, I found this book to be both fascinating and disturbing. Weiner does an excellent job of both telling the story of an agency with a notoriously shadowy past, and giving a fair criticism of a system in which national security and civil liberties are often in conflict. 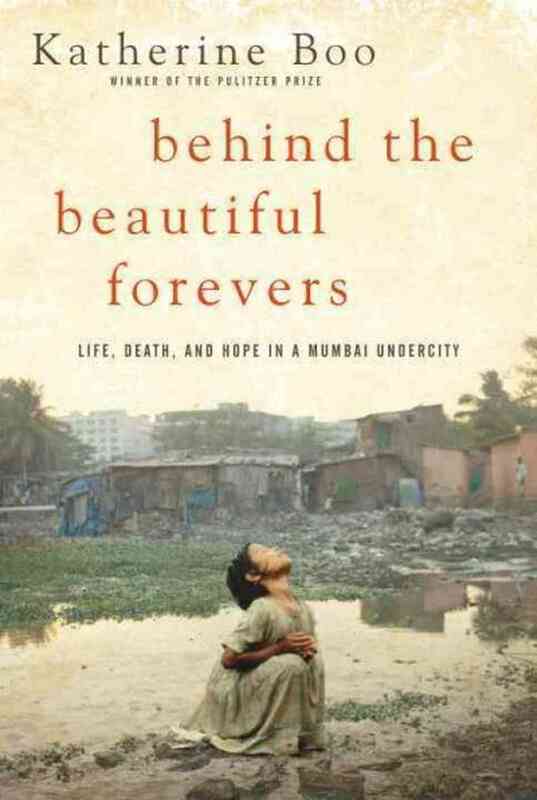 It is a bit on the long side, but reads more like a thriller than a non-fiction history. If you have any interest in the history of the FBI (or of the 20th century really), I definitely recommend this one. 4.5/5 stars. British couple Andrew and Sarah O’Rourke, vacationing on a Nigerian beach in a last-ditch effort to save their faltering marriage, come across Little Bee and her sister, Nigerian refugees fleeing from machete-wielding soldiers intent on clearing the beach. The horrific confrontation that follows changes the lives of everyone involved in unimaginable ways. Two years later, Little Bee appears in London on the day of Andrew’s funeral and reconnects with Sarah. Sarah is struggling to come to terms with her husband’s recent suicide and the stubborn behavior of her four-year-old son, who is convinced that he really is Batman. The tenuous friendship between Sarah and Little Bee that grows, is challenged, and ultimately endures is the heart of this emotional, tense, and often hilarious novel. 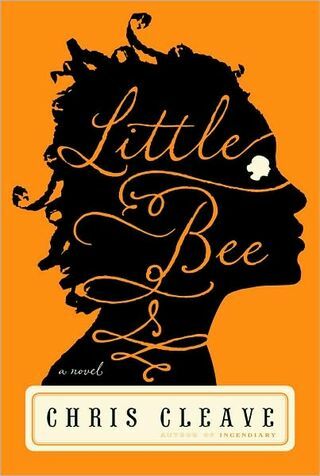 Considered by some to be the next Kite Runner, Little Bee is an achingly human story set against the inhuman realities of war-torn Africa. 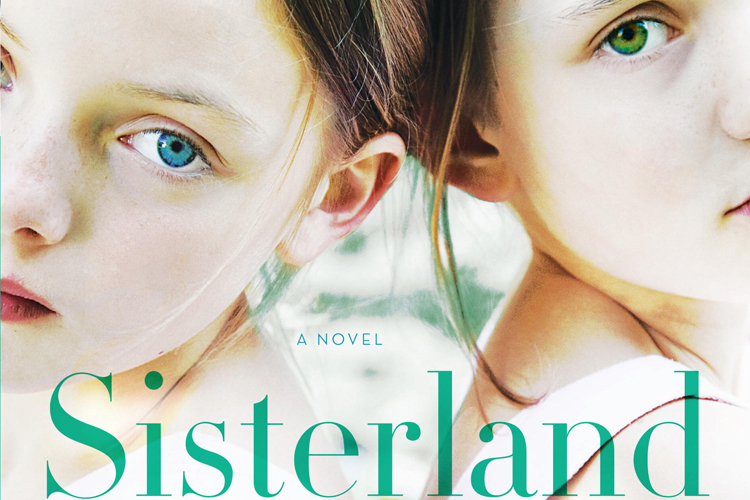 Wrenching tests of friendship and terrible moral dilemmas fuel this irresistible novel. 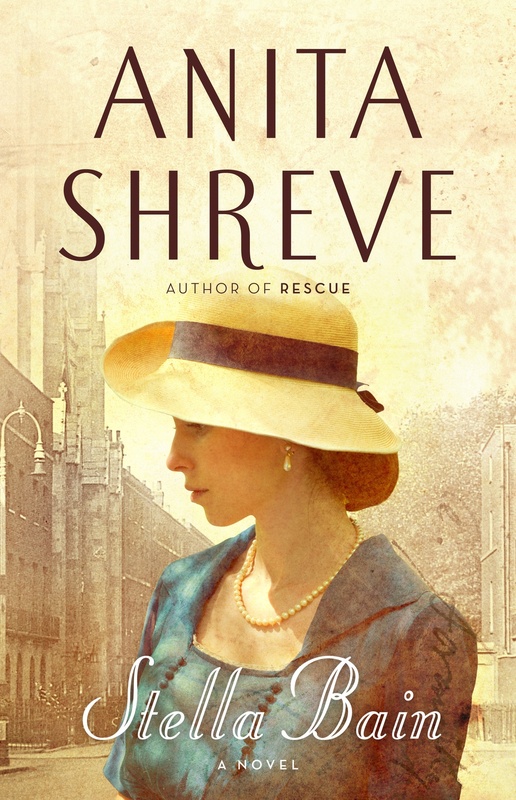 When an American woman, Stella Bain, is found suffering from severe shell shock in an exclusive garden in London, surgeon August Bridge and his wife selflessly agree to take her in. A gesture of goodwill turns into something more as Bridge quickly develops a clinical interest in his houseguest. Stella had been working as a nurse’s aide near the front, but she can’t remember anything prior to four months earlier when she was found wounded on a French battlefield. Happy Monday everyone! I know it’s been a few weeks, but I’m back today to participate in the “It’s Monday! What Are You Reading?” meme. With a career, a boyfriend, and a loving family, Piper Kerman barely resembles the reckless young woman who delivered a suitcase of drug money ten years before. But that past has caught up with her. Convicted and sentenced to fifteen months at the infamous federal correctional facility in Danbury, Connecticut, the well-heeled Smith College alumna is now inmate #11187–424—one of the millions of people who disappear “down the rabbit hole” of the American penal system. From her first strip search to her final release, Kerman learns to navigate this strange world with its strictly enforced codes of behavior and arbitrary rules. She meets women from all walks of life, who surprise her with small tokens of generosity, hard words of wisdom, and simple acts of acceptance. Heartbreaking, hilarious, and at times enraging, Kerman’s story offers a rare look into the lives of women in prison—why it is we lock so many away and what happens to them when they’re there. Although I hope to never go to prison (or even see the inside of one), it was interesting to take a trip there in Piper Kerman’s memoir. 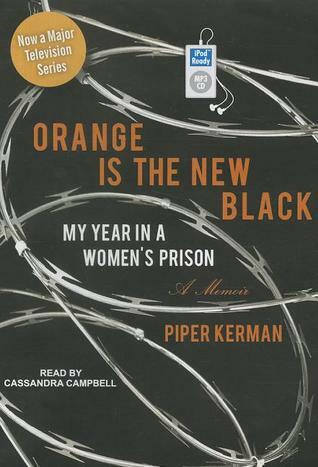 From the tales of her “bohemian” post-college days (when the crime was committed) to her feelings during the last moments of her prison stay, Piper tells her story in clear and entertaining prose. It was easy to get swept away, especially since I felt like she could be me or someone I knew (which I think is the main appeal of this book for most of the people reading it). I think my favorite part of this book was the rich cast of people from all walks of life she encountered during her prison stay. She makes friends with many of the women, and I liked that she didn’t just stick with the ones who were just like her. Despite giving most of their stories a sympathetic telling, she also doesn’t make them out to be saints either, which made her experiences with them more real and believable to me. In fact I enjoyed the stories of the people she met in prison so much that I was dismayed when the audiobook ended with no epilogue or afterward. The story just ends very abruptly and left me feeling a bit empty after becoming so invested in her (and the other women’s) stories. How does Piper adjust after she gets back to the real world? Does she have a different perspective on prison and her experience now that some time has passed? Did she keep in contact with any of the other women? 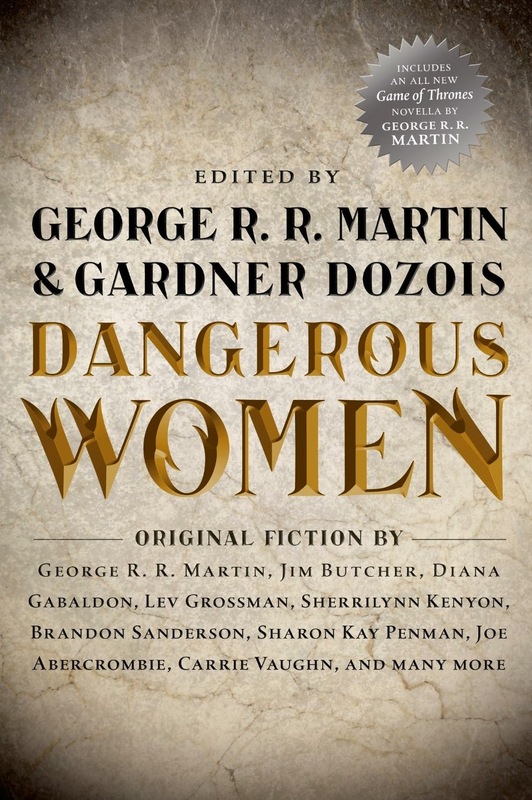 After a quick search on the internet it appears that the paperback edition DOES have an afterward, but since I didn’t get to read it I can’t comment on whether or not this would have allayed the unfinished feeling I still have about this book. Other than the abrupt ending I really enjoyed this book. It gave a rare look into one woman’s experiences in prison, and put a human face on an often forgotten portion of our population. Don’t read this book if you are looking for a serious tome on prison sociology or some kind of “call-to-action.” This is a memoir, and thus although it asks a lot of important questions it does not answer them. 4/5 stars. For eighteen years the Hartes and the Golds have lived next door to each other, sharing everything from Chinese food to chicken pox to carpool duty– they’ve grown so close it seems they have always been a part of each other’s lives. Parents and children alike have been best friends, so it’s no surprise that in high school Chris and Emily’s friendship blossoms into something more. They’ve been soul mates since they were born. So when midnight calls from the hospital come in, no one is ready for the appalling truth: Emily is dead at seventeen from a gunshot wound to the head. There’s a single unspent bullet in the gun that Chris took from his father’s cabinet– a bullet that Chris tells police he intended for himself. But a local detective has doubts about the suicide pact that Chris has described. Isabel Allende’s latest novel, set in the present day (a new departure for the author), tells the story of a 19-year-old American girl who finds refuge on a remote island off the coast of Chile after falling into a life of drugs, crime, and prostitution. There, in the company of a torture survivor, a lame dog, and other unforgettable characters, Maya Vidal writes her story, which includes pursuit by a gang of assassins, the police, the FBI, and Interpol. In the process, she unveils a terrible family secret, comes to understand the meaning of love and loyalty, and initiates the greatest adventure of her life: the journey into her own soul. Happy Monday everyone! I hope you are staying warm wherever you are. I’m wearing two layers of clothing today…but trust me it was necessary! This week I am participating in the “It’s Monday! What Are You Reading?” meme. On November 5, 1942, a U.S. cargo plane on a routine flight slammed into the Greenland ice cap. Four days later, a B-17 on the search-and-rescue mission became lost in a blinding storm and also crashed. Miraculously, all nine men on the B-17 survived. The U.S. military launched a second daring rescue operation, but the Grumman Duck amphibious plane sent to find the men flew into a severe storm and vanished. In this thrilling adventure, Mitchell Zuckoff offers a spellbinding account of these harrowing disasters and the fate of the survivors and their would-be saviors. Frozen in Time places us at the center of a group of valiant airmen fighting to stay alive through 148 days of a brutal Arctic winter by sheltering from subzero temperatures and vicious blizzards in the tail section of the broken B-17 until an expedition headed by famed Arctic explorer Bernt Balchen attempts to bring them to safety. But that is only part of the story that unfolds in Frozen in Time. In present-day Greenland, Zuckoff joins the U.S. Coast Guard and North South Polar—a company led by the indefatigable dreamer Lou Sapienza, who worked for years to solve the mystery of the Duck’s last flight—on a dangerous expedition to recover the remains of the lost plane’s crew. Drawing on intensive research and Zuckoff ’s firsthand account of the dramatic 2012 expedition, Frozen in Time is a breathtaking blend of mystery, adventure, heroism, and survival. It is also a poignant reminder of the sacrifices of our military personnel and their families—and a tribute to the important, perilous, and often-overlooked work of the U.S. Coast Guard. 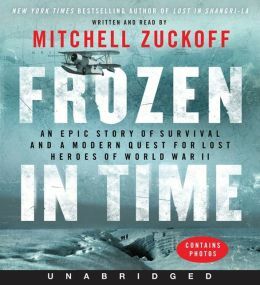 They say bad things come in three’s, and for the U.S. Military’s operations in Greenland in November of 1942 this was definitely the case, as recounted by Michell Zuckoff in Frozen in Time. This non-fiction tome reads like an thriller/adventure novel, and alternates between the original crashes of 1942 and the present day attempt to rescue the Grumman Duck from its ice-encrusted tomb. I really enjoyed reading this harrowing survival story, and was on the edge of my seat while waiting to figure out if any of the men would ever make it off the ice. It was amazing to me that the men could survive at all under those extreme conditions (let alone without ever having had any cold weather survival training), and that they could do it with such selflessness, integrity, and humanity. I was also touched and moved by the attempts of others to save the men and keep them alive, often at great risk to their own safety. Zuckoff’s re-telling of these events is by far the strongest and best part of the book. Side note: it was also interesting to learn things about Greenland and the arctic. For instance, did you know Greenland was part of the Kingdom of Denmark or that it is (very not densely) inhabited? The present day sections were interesting but dragged at times (one reviewer noted they “read like a long National Geographic article”). Also, since Zuckoff had a significant financial stake in the operation to retrieve the Grumman Duck, these sections felt a bit more forced somehow. 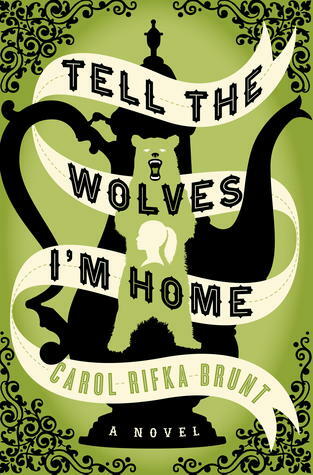 The present day story was definitely worth reading, but just couldn’t quite compare to the survival story on the ice. I found myself hurrying through so I could get back to the 1942 sections of the book. Overall, I really enjoyed this story. Although at times it was a bit sad, it was inspiring and very moving. 4/5 stars. 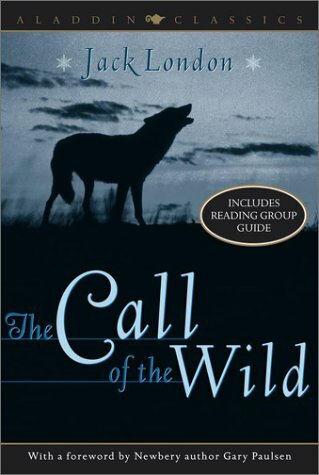 First published in 1903, The Call of the Wild is regarded as Jack London’s masterpiece. Based on London’s experiences as a gold prospector in the Canadian wilderness and his ideas about nature and the struggle for existence, The Call of the Wild is a tale about unbreakable spirit and the fight for survival in the frozen Alaskan Klondike. A well-know bibliophile is found hanged days after selling a rare manuscript of Alexander Dumas’s classic, The Three Musketeers. Across Madrid, Spain’s wealthiest book dealer has finally laid his hands on a 17th-century manual for summoning the devil. Lucas Corso, solitary and obsessive, is the detective hired to authenticate both texts. But the further he follows the trail of devil worship, the more it leads him back to Dumas. He’s the unwitting protagonist in someone’s evil plot, but is he sleuth or hero, Sherlock Holmes or d’Artagnan? Jack London’s adventure masterpiece is not only a vivid account of the Klondike gold rush and North American Indian life, but it is also an intriguing study of the effects different environments have on an individual. Celebrate the centennial anniversary of the classic tale of a wolf-dog who endures great cruelty before he comes to know human kindness. Happy Monday everyone! This week I am participating in the “It’s Monday! What Are You Reading?” meme. 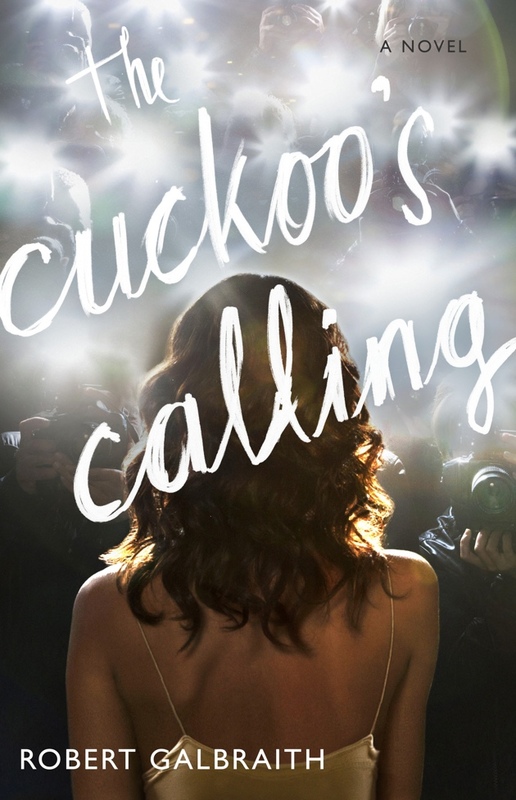 Confession: I didn’t find out about this book until after the news had already leaked that it was J.K. Rowling who had written it, and I also have not yet read The Casual Vacancy (although it is sitting on my shelf). I think the thought of reading another J.K. Rowling after Harry Potter was too intimidating–what if I didn’t like it (especially after the mixed reviews I’ve read of CV)? None of these thoughts were in my head though when I heard about The Cuckoo’s Calling since it sounded exactly like something I would love. 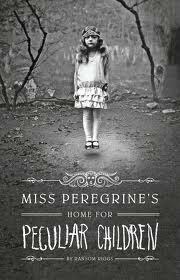 However, now that I’ve read it, I can safety say that I liked this book but didn’t love it. I think my biggest complaint about the book (and a quick perusal of Goodreads tells me I’m not alone here) is that the first half moves way, way too slow. Some books have a slow build-up to the action, but usually there is a good hook to keep you reading. 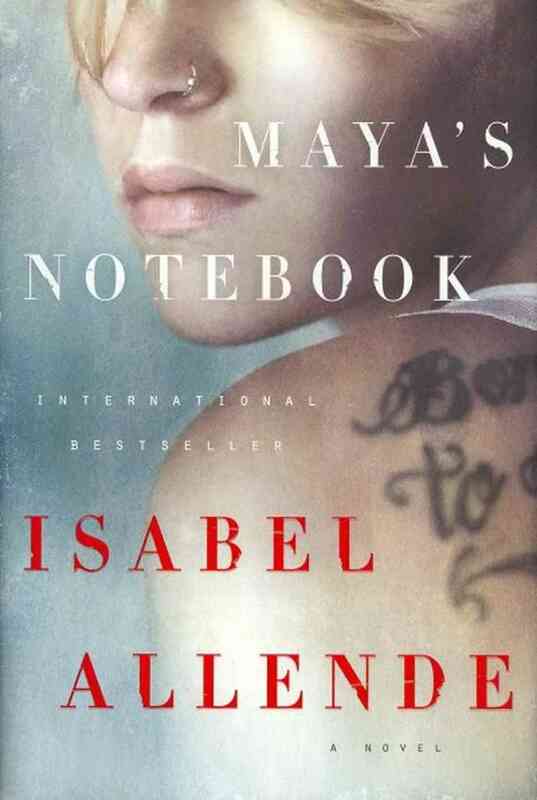 Since this book is billed as a mystery/thriller I would have expected it to hook me more in the beginning then it did. Basically, the only thing that kept me reading for about the first hundred pages was that I knew J.K. Rowling had written this book and that if I waited long enough she probably wouldn’t let me down (luckily I was right). Eventually I did get invested in the story, and the pace did pick up for about the second half of the book. I figured out the mystery pretty quickly, but still enjoyed reading through the end. The best part of the book in my opinion are the characters Cormoran Strike and his assistant, Robin, and I look forward to learning more about them in the sequel (set to be published this year???). In the end, I’m glad I had faith and stuck it out. 3/5 stars. Remarkably, it was just a few years ago that Enron was thought to epitomize a great New Economy company, with its skyrocketing profits and share price. But that was before Fortune published an article by McLean that asked a seemingly innocent question: How exactly does Enron make money? From that point on, Enron’s house of cards began to crumble. 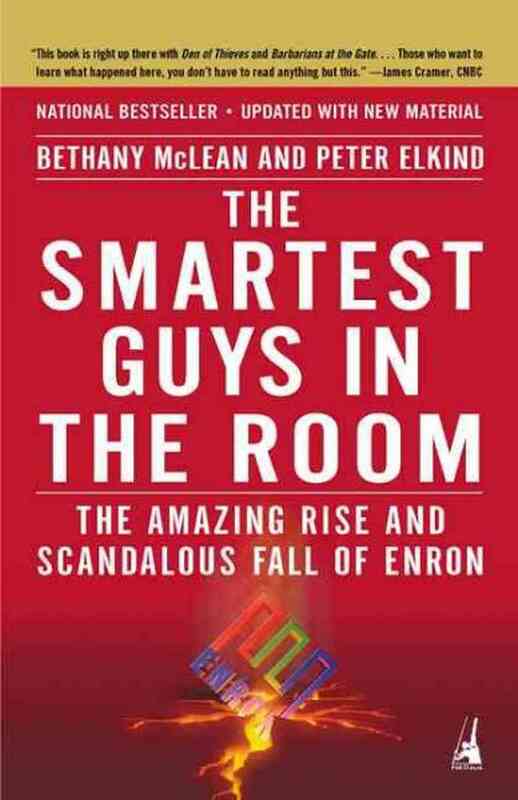 Now, McLean and Elkind have investigated much deeper, to offer the definitive book about the Enron scandal and the fascinating people behind it. Meticulously researched and character driven, Smartest Guys in the Room takes the reader deep into Enron’s past—and behind the closed doors of private meetings. Drawing on a wide range of unique sources, the book follows Enron’s rise from obscurity to the top of the business world to its disastrous demise. It reveals as never before major characters such as Ken Lay, Jeff Skilling, and Andy Fastow, as well as lesser known players like Cliff Baxter and Rebecca Mark. Smartest Guys in the Room is a story of greed, arrogance, and deceit—a microcosm of all that is wrong with American business today. Above all, it’s a fascinating human drama that will prove to be the authoritative account of the Enron scandal. When the Enron scandal broke I was a freshman in high school, so although I remember hearing about it I didn’t really know much about it. Several years later, when I was a senior in college working in Houston for an internship, the Enron saga was brought to my attention again when a friend said “those are the old Enron towers” as we were driving through downtown Houston. I made a mental note to learn the details of what happened, and then promptly forgot until this book was called to my attention last year. And boy am I glad it was. In the interest of full disclosure, I should say that this book is a bit long. It comes in at a whopping 480 pages and is pretty technical at parts (especially for us non-finance majors). However, it is exhaustively researched, incredibly interesting, and very readable. McLean and Elkind do a great job of turning this very complex story into an understandable and frankly page turning narrative. In addition to the telling the technical side of the story, I think the authors also do a nice job of looking at the human aspect of it–the hubris, the ignorance, the greed. The corporate executives at the center of the scandal weren’t necessarily inherently bad people, and I think this book does a nice job of separating the facts from the gossip. Overall, I thought this was a really great book and a must read for anybody with an interest in business (apparently it’s one of Warren Buffet’s favorite books). It was informative without being too dry, and is written at a level that even non-finance people (such as myself) can easily comprehend. If I could wish for anything different, it would be an updated edition. This book was published in 2004 (almost 10 years ago now) and I’d be curious to see the authors’ thoughts and comments ten years after the fact. 4.5/5 stars. Who has not dreamed of life on an exotic isle, far away from civilization? Here is the novel which has inspired countless imitations by lesser writers, none of which equal the power and originality of Defoe’s famous book. Robinson Crusoe, set ashore on an island after a terrible storm at sea, is forced to make do with only a knife, some tobacco, and a pipe. He learns how to build a canoe, make bread, and endure endless solitude. That is, until, twenty-four years later, when he confronts another human being. I am a 20-something graduate student who loves books, coffee, going on adventures, and (sometimes) science. 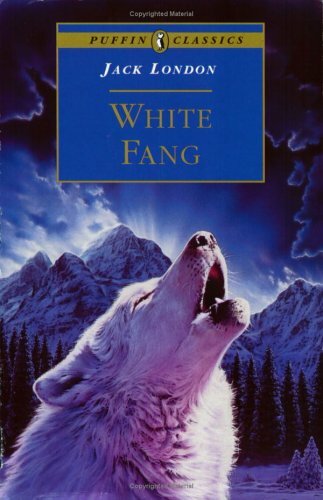 My 2015 Reading Challenges-Introduction and 1st Quarter Progress!